Being successful in the music world must be really tough, as the number of “one hit wonder” bands we can no doubt all think of testifies. Why is it that a group can come out with one song that somehow ticks all the right boxes and becomes incredibly popular, yet then fail to find that magic mix again? 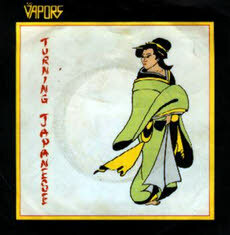 The Vapors apparently thought themselves that they could become a one hit wonder after writing Turning Japanese, to the extent that they held the song back to be their second released single, in the hope that this damning fate wouldn’t happen to them. Sadly for them the strategy didn’t work, and so they will now forever be known to the masses just for this song. Depending on where in the world you live, there are some bands who appear to you to be one hit wonders, whilst in reality they may well have been very successful in their homeland. Dexys Midnight Runners are a good example of band that will be well remembered in the UK, but abroad may only have had a single hit. 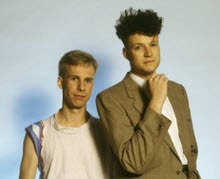 Here in the UK, Men At Work are the opposite to Dexys. An Australian band who were pretty successful there, in Blighty they are really only remembered for one song, and that was Down Under (sometimes known as A Land Down Under, thanks to the chorus lyrics). Down Under was originally recorded in 1981, but when it was reissued the following year it took the world by storm, hitting the number one spot in Australia, the UK and Ireland, the US, and a few more countries besides. 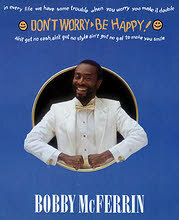 I guess it was seen as a bit of a novelty record thanks to the funny lyrics and the catchy tune (but more on that in a bit) and that’s why it did so well. The song tells the story of an Australian traveller touring the world, who meets various people on the way who befriend him because of his nationality. For a country brought up on Marmite it also introduced the UK to Vegemite, the Australian equivalent of the love-it-or-hate-it foodstuff. I’m sure it must have been because of Down Under that us Brits were even able to buy Vegemite in supermarkets for a while (not sure if you still can, but I don’t think so). 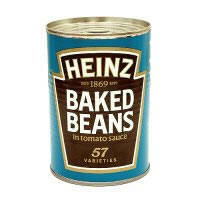 For more on this food by product see the rather amusing Vegemite entry in the BBC’s h2g2 (An online attempt at creating a real Hitchhikers Guide to the Galaxy, in a similar manner to Wikipedia). 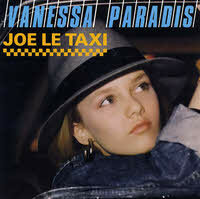 I was driving in the car the other day when Joe Le Taxi by Vanessa Paradis suddenly came on the radio. I had forgotten all about this song until then, and hearing it again instantly took me back to my childhood, with memories of looking up the lyrics in my sisters copy of Smash Hits. Joe Le Taxi hit number 3 in the UK charts when it was released at the beginning of 1988, but what is most surprising about this fact is that the song (as the title suggests) was sung in French, meaning most of us in the UK didn’t really have much of a clue as to what the song was saying, other than it was presumably about a taxi driver named Joe who liked the saxophone. However, it was a very catchy song that you ended up humming or singing along with, despite not knowing what the words meant, so it was nice to see a song do well in the charts because people presumably must have really liked it. Another surprising fact is that the singer, Vanessa Paradis, was only fourteen at the time, and this wasn’t even her first released song – that honour went to La Magie des surprises-parties (my French is not great but I’m guessing that’s The Magic of Surprise Parties) which was released in 1983, so she must have been just ten for that song! School trips were always fun for several reasons. First, it always seemed like a day off school. Secondly, you sometimes got to go to some interesting places. Thirdly, the coach trip often descended into what can only be described as mayhem! Fun mayhem that is! The teachers would first try to keep everyone amused by playing something like I-Spy, but we soon all bored of that and somebody would try and liven the journey with a group song. I’m not talking something sensible like Kumbaya though, no, it would be something in the Ten Green Bottles vein to start off with. 99 Red Balloons was a number one hit for Nena, which was both the name of the female singer of the song and her band too, in February 1984. 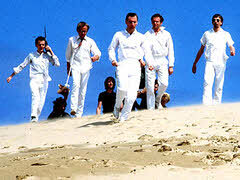 This was the English translation of the original German version, which was called 99 Luftballons, and between the two versions Nena managed to achieve the number one slot in the charts in at least ten countries, including the UK, Ireland, Australia, Canada and home country Germany. Surprisingly enough, though it only managed to reach number 2 in the US, this was with the original German language version of the song, which was quite an achievement. 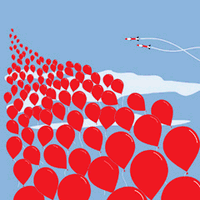 Some friends buy a packet of balloons (perhaps a packet of 100 but one popped during inflation? Who knows?) and decide to blow them all up and let them loose into the sky. Off they merrily bob, only to be picked up on radar and mistaken as a possible UFO or maybe an enemy attack, which leads to fighter jets being scrambled and the brink of war! Ouch! It was the mid eighties when the BBC launched their soap opera EastEnders with much fanfare, causing my Mum and mothers across the land to tune in eagerly for a dose of market trading folk from a small London suburb. Such was the popularity of the show back then that the characters who made up the original cast are still fondly remembered today. The programme has a very memorable theme tune, but it came as quite a surprise to most people when Anita Dobson, aka Angie Watts, the Queen Vic landlady, released a record which put lyrics to the theme song. 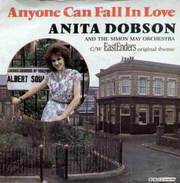 The lyrics may well be considered cheesey now (and probably was back in 1986 when it was released) but it has to be said that Anita Dobson didn’t actually have a bad singing voice, so whilst it was most likely the popularity of EastEnders that saw the record reach number 4 in the UK charts, at least there was some talent involved in the production of the record. The EastEnders theme tune was originally composed by Simon May, with the lyrics added afterwards by Don Black. It was produced by Dobson’s husband Brian May. That’s right, the big haired Brian May from Queen! Well, it’s nice that he supported his wife, isn’t it?